As France deployed its troops to Mali to confront the local medievalists, the merde has hit the ventilateur, once again giving a sense of purpose to al-Qaeda’s local franchises’ nihilism. Who are those groups, how do they relate to Al-Qaeda in the Islamic Maghreb (AQIM), and why do so many of their leaders seem to have eyesight problems? To answer that question, we have prepared the following handy guide. Mokhtar Belmokhtar’s name is a subtle nod towards Jean Valjean, the central character in Victor Hugo’s Les Misérables. Al-Qaeda’s dalliance with symbolism is legendary. 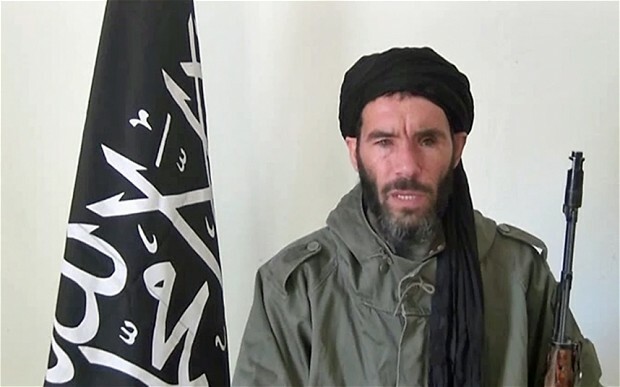 Belmokhtar is believed to be responsible for the recent hostage taking operation in Algeria, the one-eyed Islamist is also known as Mr Marlboro and The Uncatchable. His group, The Masked Ones, go under various names including Khaled Abul Abbas Brigade, and The Blood Battalion. The nickname Mr Marlboro comes from Belmokhtar’s cigarette smuggling activity. Other al-Qaeda groups have banned smoking in the areas they control. According to experts, this shows that al-Qaeda is learning from the European governments when it comes to implementing contradictory but lucrative tobacco policies. Ansar Dine (Defenders of the Faith, although by dropping the definite article ‘al’ from ‘dine’ it becomes ‘defenders of any faith’, but we’re not going to volunteer to point this out to them in person.). They are also referred to as ‘Helpers of Islam’ in western media, no doubt due to shoddy translation by someone who thought they were the Muslim equivalent of Santa’s elves. Ansar Dine’s zeal for Wahabbi urban planning, ‘out with the old’, has attracted worldwide media attention. Their leader ag Ghaly was once "a great fan of cigarettes, booze, and partying" but he met some rotten apples during his stint as a diplomat in Saudi Arabia and they led him astray. His tendency for compromise has earned him the nickname Mr Marlboro Lights among other AQIM groups. The cross-eyed Kheirou is assumed to be the leader of The Movement for Oneness and Jihad in West Africa (MOJWA). MOJWA is distinctive among al-Qaeda groups in integrating elements from Buddhism in its ideology, hence the emphasis on Oneness, or Radical Togetherness as they sometimes refer to it. MOJWA has also embraced multi-culturalism, it actually came into life in response to the Algerian dominance over AQIM and the under-representation of black Africans in the movement. Ould Hamaha and his group are not very well known outside Mali, their lack of effectiveness has been somewhat self-inflicted, one could argue. Western analysts are yet to notice that the degree of eyesight loss among al-Qaeda members closely matches their positions within the organisation’s hierarchy, with the top positions often going to blind people, then partially sighted people, then cross-eyed people and so on. Ould Hamaha has taken this all too literally, and initiated the practice of blinding his supporters as a mark of their dedication to their cause. They are yet to complete one successful operation as they stumble around trying to find where they left their weapons, but they are highly respected among other al-Qaeda supporters for their devotion. The Sahel Bats are a splinter group of The Sahara Bats, their leader Hassan thought the policy of self-blinding was short-sighted and left to form his own group. As a nod to his roots, his followers symbolically ‘blind’ themselves by regularly shaving their eyelashes. As a result, many of them end up eventually re-joining The Sahara Bats for obvious reasons. A philosophy graduate, Boukheir abandoned his job as a teacher to pursue the path of Jihad. He split off AQIM to form the SGCM when he realised their ideology was leading to an ‘existential impasse’. Boukheir’s unique insight was to realise that al-Qaeda’s pure nihilism would be eroded by the demand for the application of Sharia in Muslim societies. He is a kind of ‘back to basics’ al-Qaeda type, more interested in blowing things up than establishing utopian societies. His thick prescription glasses have earned him the nickname ‘the wayward professor’. Belhaj was a French Marxist called Bernard Altier, his disillusionment with Marxism led him to become a German radical environmentalist called Max Heinrich. He then converted to Islam, changed his name and moved to Algeria where he founded The Green Dawn, an al-Qaeda affiliate that embraces Bin Laden’s environmental principles. Belhaj’s motto is ‘it’s not murder, we’re recycling souls’. The Green Dawn has carried out several symbolic attacks on oil pipelines, to avoid pollution, but there is no doubt about the group’s ferocity. Belhaj exhibits the typical zeal of the convert. He is often seen wondering the dessert with a blindfold on, saying ‘I see with my heart, brother’, much to the annoyance of his comrades. These are the most notorious group now lining up to confront their spectacled nemesis, Francois Hollande. What about "Abu Lego" a (Bosnian) Danish fanatic whose patented "Brick by Brick' approach to reconstructing a new islamic global order is based on "following the instructions." Abu Lego's Global Jihad is said to guarantee a better future for the Umma, or a dinosaur castle, or a train set or a mini Death Star or plastic portable Ka'aba... or maybe something not quite as good as Abu Lego hoped, especially if his mom builds it. Its only Natural for people to want Freedom of Speech/Expression/Governance & to Practice/Follow whatever Religion they want without fear of Oppression & Intimidation. The "People" on here are Fanatics & are no better then the Tyrants of the World. The Answer isn't to push them from One Area to Another it is to Defeat them & let their Followers have the Choice of Freedom they sought to deny others or incarceration. at what time you employ an e cigarette after that there will be no on fire or smoky be on fire at the tip similar to you would observe at what time you use a usual cigarette and light them up. E cigarettes are series operated and you can charge the battery with e cig chargers . Quit Cigarettes in 60 minutes These cigarettes can be second-hand at community seats as they are Eco-Friendly. These people are similar as the terrorist are in the world.Help with essays | buy custom essay. Midsection Western governing bodies quite definitely wish every single child command his or her population, along with information visiting in addition to through, in addition to they wish to invest in technological know-how to permit this particular to take place. Sadly, quite a few in the western Glendale Blinds world view this particular because tricky for your standard protection under the law connected with people, not to mention our own cultural tendency towards overall flexibility in addition to freedom.